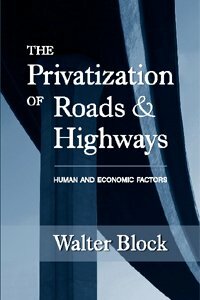 Walter Block's remarkable new treatise on private roads, will cause you to rethink the whole of the way modern transportation networks operate. It is bold, innovative, radical, compelling, and shows how free-market economic theory is the clarifying lens through which to see the failures of the state & see the alternative that is consistent with human liberty. The report highlights the areas in which the global economy experienced systemic failures. UNCTAD examines some of the problems to be tackled immediately because they can only be addressed through recognition of their multilateral dimensions. This book is about the moral justification of what philosopher Robert Nozick called 'capitalist acts among consenting adults'. It's about the system of cooperative production and free exchange characterized by the predominance of such acts. Discrimination is an inevitable feature of the material world where scarcity of goods and time is the pervasive feature. There is no getting around it. Without discrimination, there is no economizing taking place. It is chaos. Barnes' idea is that we need to use a 3rd institution to develop a better form a capitalism that takes into account natural resources that are used and not accounted for. This is needed, because government has failed to do a good job in this regard.